The National Association of Teachers of Singing is pleased to announce that J.J. Penna will serve as collaborative pianist master teacher for the 2019 NATS Intern Program. One of this country's most eminent collaborative pianists, Penna is on the faculty of The Juilliard School and Westminster Choir College of Rider University. "We are absolutely delighted to have J.J. Penna join NATS and our outstanding faculty of the 2019 NATS Intern Program," said Linda J. Snyder, Immediate Past President and director of the Intern Program. Due to an unavoidable scheduling conflict Margo Garrett, who was initially scheduled as collaborative pianist master teacher, has had to move her participation in the NATS Intern Program to another year. The 2019 NATS Intern Program will be held at New England Conservatory of Music in Boston, MA, June 3-13, 2019. Penna joins distinguished master teachers of voice Lynn Helding from the faculty of University of Southern California, independent studio teacher Mary Henderson-Stucky from the faculty (retired) of the College-Conservatory of Music/University of Cincinnati, Dan Johnson-Wilmot from the faculty of Viterbo University, and Kevin Wilson from the faculty of Boston Conservatory at Berklee. For more than 25 years as one of the most successful and impactful professional development programs for teachers of voice, the NATS Intern Program expanded the program in 2017 to include professional development for collaborative pianists. VIDEO: Eric Rieger (tenor) and JJ Penna (piano) perform Schubert's "Die schöne Müllerin" in Bristol Chapel at Westminster Choir College (2015). 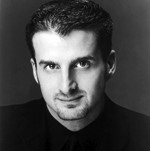 J.J. Penna has performed in recital with such notable singers as Kathleen Battle, Harolyn Blackwell, David Daniels, Denyce Graves, Roberta Peters, Florence Quivar, Andreas Scholl, Sharon Sweet, Christopher Trakas, and Ying Huang, in venues throughout the United States, Europe, the Far East, and South America. He has held fellowships at prestigious festivals such as Tanglewood, Chautauqua Institution, Banff Center for the Arts, Norfolk, the Music Academy of the West, and San Francisco Opera Center’s Merola Program. He received his training under Martin Katz, Margo Garrett, and Diane Richardson. Penna devotes much of his time to the teaching of art song literature, and is currently on the faculties of Westminster Choir College of Rider University, the Steans Institute for Young Artists, and The Juilliard School. With partial funding from the NATS Foundation, the NATS Intern Program is an exceptional training experience, pairing expert master teachers with talented early career members of NATS. Within an intensive format designed to promote the dynamic exchange of ideas and techniques, the goal is to improve substantially the studio teaching skills of voice interns and the coaching skills of collaborative piano interns. Complete information on the 2019 NATS Intern Program including application requirements can be found HERE. Application deadline is December 15, 2018.